You know Turbo as the hamster sidekick from the Captain Awesome books. But ever wonder what actually goes on when the last school bell rings and Turbo is left to his own devices? He’s SUPER TURBO and he’s here to fight evil in and out of the classroom! In this third book, there’s a new villain in the classroom. 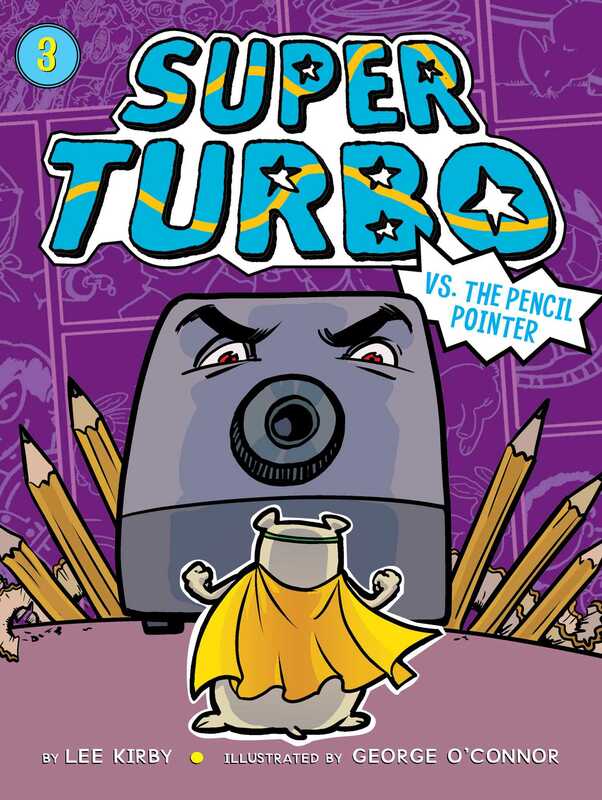 He’s big, he’s shiny, and he can sharpen a pencil like Super Turbo has never seen. And he stares at Turbo. All. Day. Long. But just when Turbo begins to think that the Pencil Pointer might not be that evil…the villain starts spewing pencil shavings! If he keeps at it, Turbo’s hamster home will be destroyed. Then Turbo learns that evil isn’t only trying to take over his classroom. The rest of the classroom pets are battling their own Pencil Pointers! Can the Superhero Superpet League stop the Pencil Pointers and save the school—and themselves?